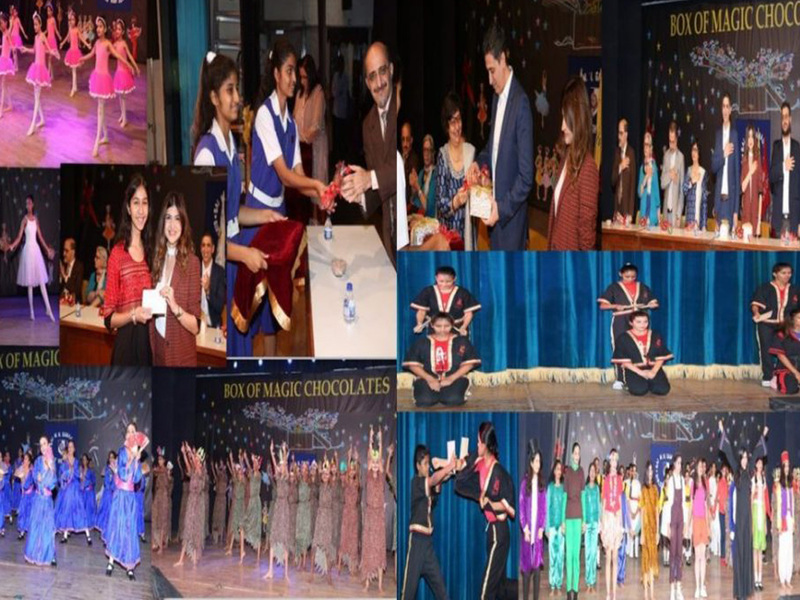 We celebrated our Annual Day at the Y B Chavan Auditorium on Wednesday, 16th January, 2019 with a Celebrity Cosmetic & Restorative Dentist, Dr. Ashdin P. Turner, as the Chief Guest. It commenced with the National Anthem, with Principal Zarin Behram Rabadi introducing Chief Guest Dr. Ashdin Turner by extolling his achievements and his passion in Oral Implantology & Prosthodontics. The event proceeded with a Prayer Dance by the Pre – Primary tiny tots followed with a ‘Ballet’ performance conceived and directed by Viloo Bharucha. A prime element of the evening, a colossal play , ‘ BOX OF MAGIC CHOCOLATES’, written and directed by our Speech and Drama teacher Odil Medeira. This was followed by a spirited Martial Art from the Philippines : Eskrima – Kali Arnis, ably led by Radhika Jhaveri. Dr. and Mrs. Ashdin Turner distributed prizes, merit cards, trophies and shields to students who passed their SSC examinations in 2018. The Head Girl delivered a Vote of Thanks and concluded the function with the School Anthem.